St. John has some truly magnificent beaches, from snorkeling treasure chests to sunbathing havens, all with stunning views of the turquoise ocean and lush hills of the island. One beach you will want to visit during your vacation is Jumbie Beach on St. John! Lining the North Shore, this 100-yard-long beach is not one of the biggest in the Caribbean. However, it is a true hidden gem. Discover your own secluded paradise when you visit Jumbie Beach on St. John! For more beaches to add to your itinerary, read our ultimate St. John Shores Guide! Renowned for having the most pristine and beautiful beaches found anywhere in the Caribbean, St. John is an oasis for picturesque sandy stretches and idyllic clear waters! Jumbie Beach on St. John is just one of many incredible beaches to discover during your vacation. The short stretch of white sand fringed with sea grapes is known for its dramatic setting. Its location on the North Shore also creates powerful wind and surf. Though some days will feature rough waters, others make for a sweet spot to lounge and forget about the crowds.With a small parking lot fit for just a few cars, there are rarely more than a handful of guests visiting this beach at one time. Relax in or out of the sunshine, with a variety of shady locations providing a sheltered retreat. Soak up the moment! With aqua blue water at your feet and soft white sand at your fingertips, your worries are a million miles away! On a Clear, Sunny Day, Snorkeling is Great! While not every day in the water provides ideal snorkeling at Jumbie Beach in St. John, when the weather is right, the swimming is fine. The rocks to the left side of the beach offer a hideaway for colorful fish and Caribbean sea creatures. And the reefs that line either side of the beach share the same waters as famous Trunk Bay. Snorkel to this area for some beautiful underwater scenes that you can add to your unique St. John memories. When the surf is rough, then you can wade in the shallows or lounge peacefully on the sandy shoreline. Beyond snorkeling, there is so much that this little stretch of island paradise can offer. Search for seashells among the shallows, curl up under breezy branches, or simply sit in the sand and take it all in! During your St. John activites and adventures, it is nice to have your own private space to call your home away from home. Our vacation properties create such a space and also feature some luxurious amenities and stunning views that you will love! 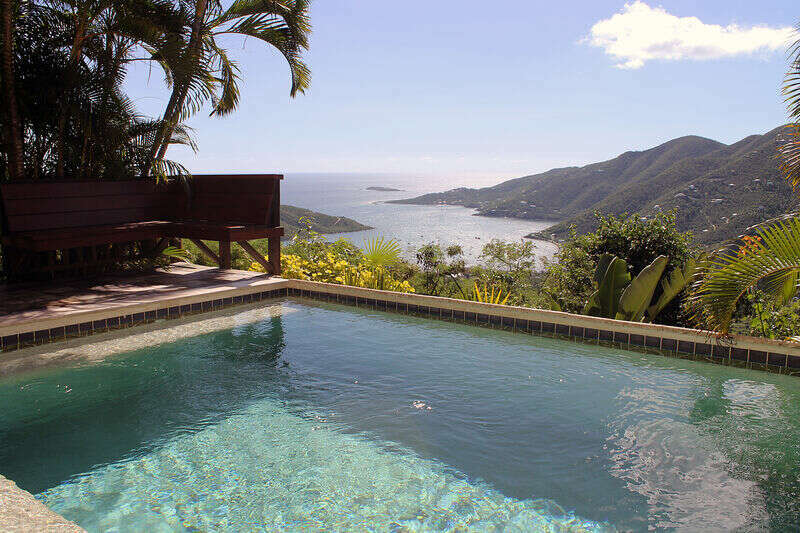 Browse our CimmaronStJohn rentals and discover the Caribbean perfect villa or home for you during your vacation! Our high-quality vacation rentals include some of the best features. The list involves full kitchens, private balconies, beachfront locations, and more. You will love vacationing with CimmaronStJohn!